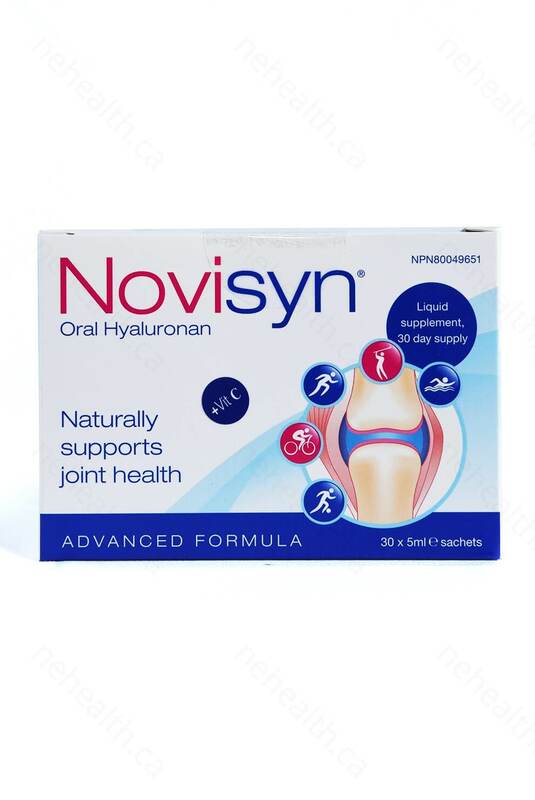 Novisyn Oral Hyaluronic Acid is made up of 1.2 to 1.5 billions Dalton hyaluronic acid molecules, it passes the gastrointestinal tract without being degraded in the stomach. Due to its special molecular structure and size, it can be easily absorbed and utilized by the body. For this reason, it is very effective in increasing the hyaluronic acid level in our body and hence, lubricating our joints and enhancing mobility. 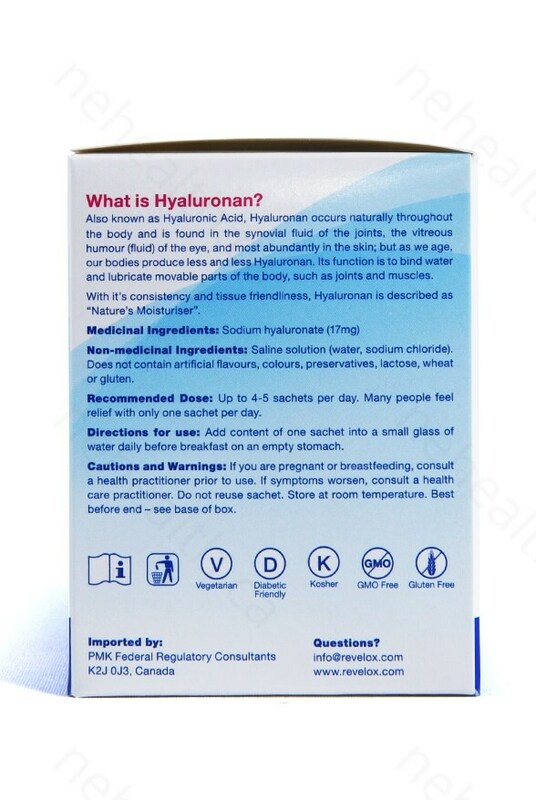 Hyaluronic acid is found mainly in the joints, eyes and the inner dermis vitreous area. It forms part of the structural tissue that holds them together. Clinical studies have shown that it protects and lubricates our joints; reduces symptoms of dry eye syndrome; hydrates and retains moisture within our skin; stimulates the production of collagen, and thus reveals younger looking skin and healthier joints. Hyaluronic acid has a very short lifespan in our body, thus, the body must produce enough of it or else supplementation is needed. Maintaining the level of HA in our body is important for tissue repair and rebuild. As we age, the level of HA decreases, so do our collagen, elastin and fibronectin production. 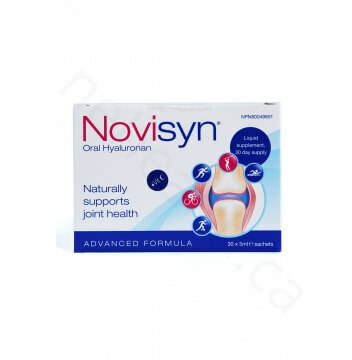 Skin will start to loose its firmness and elasticity, therefore, supplementing Novisyn Oral Hyaluronic acid is crucial to keep your skin vibrant and beautiful. Saline solution (water, sodium chloride). Does not contain artificial flavours, colours, preservatives, lactose, wheat or gluten. Add content of one sachet into a small glass of water daily before breakfast on an empty stomach. up to 4~5 sachets per day. Many people feel relief with only one sachet. If you are pregnant or breastfeeding, consult a health practitioner prior to use. If symptoms persist or worsen, consult a healthcare practitioner . Do not reuse sachet. Store at room temperature.